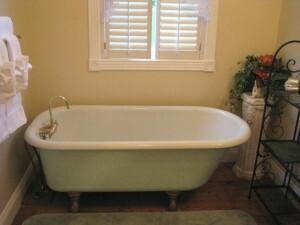 "Southern Charm" at the White Oak Manor a Jefferson Texas bed and breakfast. The past few weeks we’ve been busy redecorating the White Oak Manor rooms. 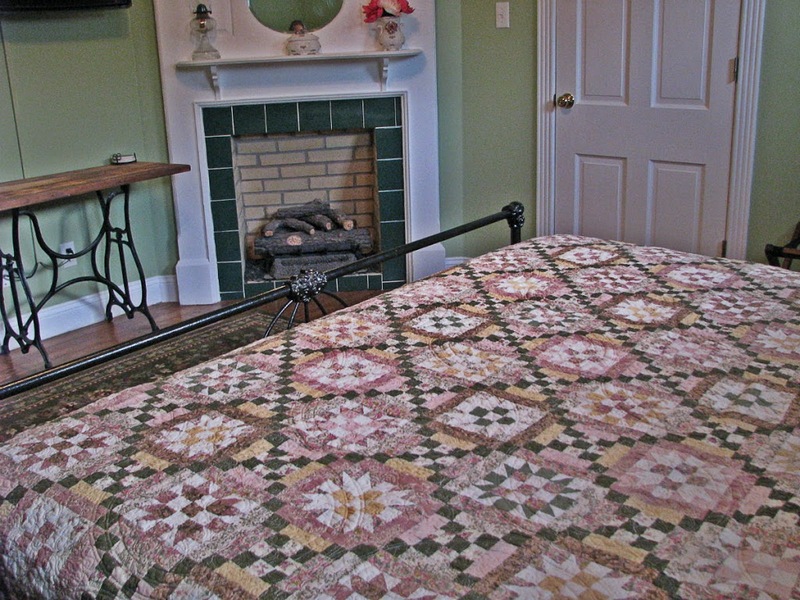 We hope you like the changes we’ve made to the bed and breakfast rooms. So far the updates to the Southern Charm room include a new color scheme in a nice calm green. We have added a 37” flat screen TV on the wall over a table and chair for any business needs you may have while visiting us. 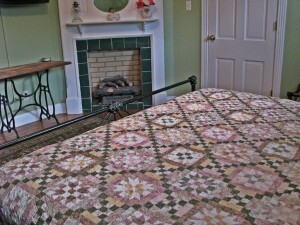 The King size bed got a really nice not to feminine quilt in the colors that best fit the rooms feel. We also picked up Keurig coffee machines for you to enjoy coffee or tea anytime you’d like. 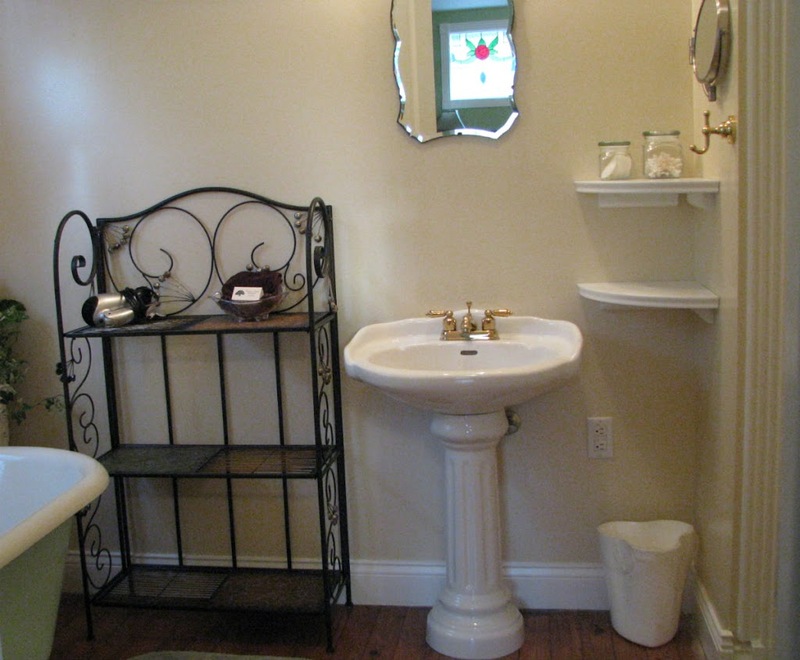 The bathroom now has plenty of shelving for all you necessities and still has a clawfoot tub and a walk in shower and new fluffy towels and plush bathrobes. This entry was posted in Remodeling, Southern Charm by Tammy D. Bookmark the permalink.